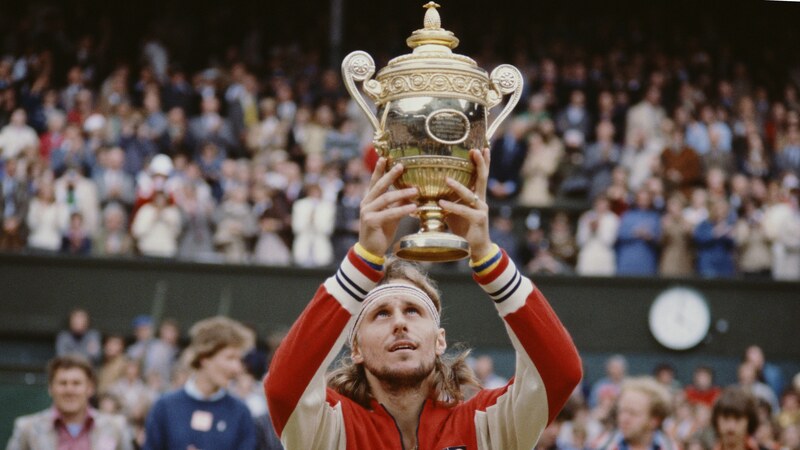 Like a warrior god, blond hair flowing, long limbs darting around the bright green court with the grace of a ballerina, hitting perfect shots with velocity and precision, this is when I fell in love with Tennis watching one of the greatest tennis players of all time – Bjorn Borg and that was the day I was hooked to the Wimbledon Tennis Championships all those years ago as a little girl. Taking place over the two weeks either side of June and July, everyone at home know’s it’s “Wimbledon time” and this means dinners’ or more like, what dinners’ will be all over the place, a boring mess of oven food and the staple pasta because I will be glued to the telly watching my favourite sport and competition, The Wimbledon Tennis Championships and they know that disturbing me will be at their peril! 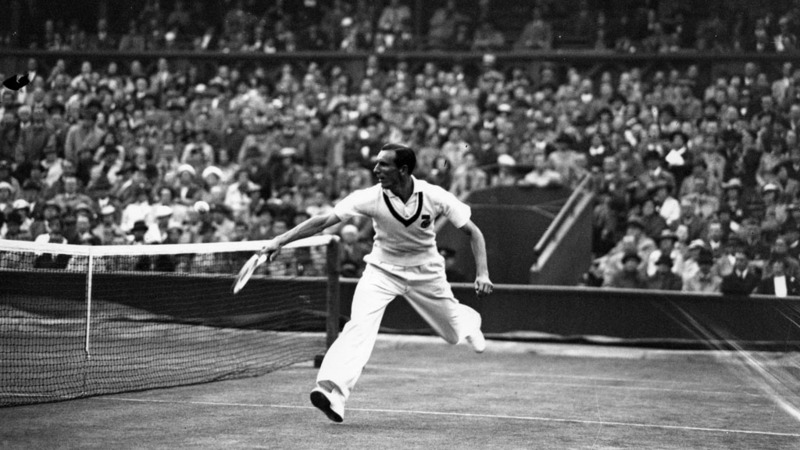 Wimbledon is the oldest Tennis Tournament in the world and arguably, the most famous. 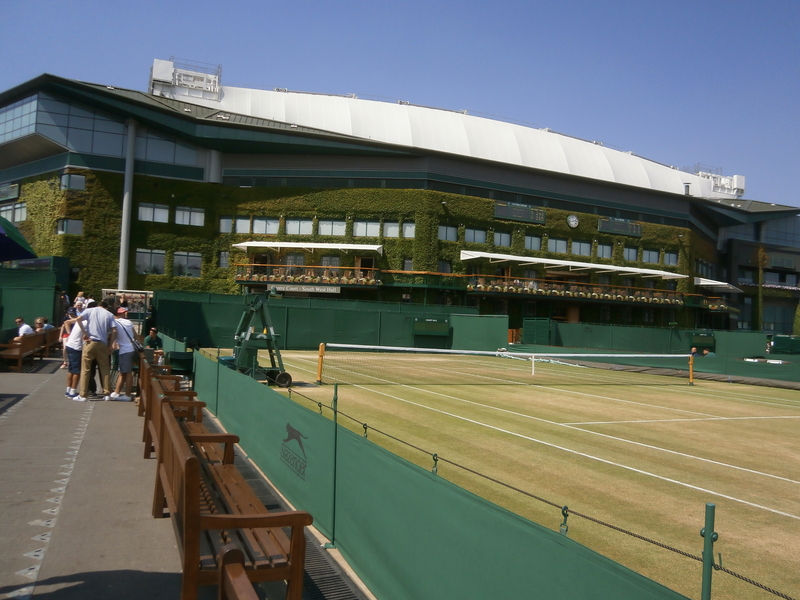 It is hosted by The All England Tennis and Croquet Club which was founded in 1868 with the inaugural Wimbledon Championship which began in 1877. 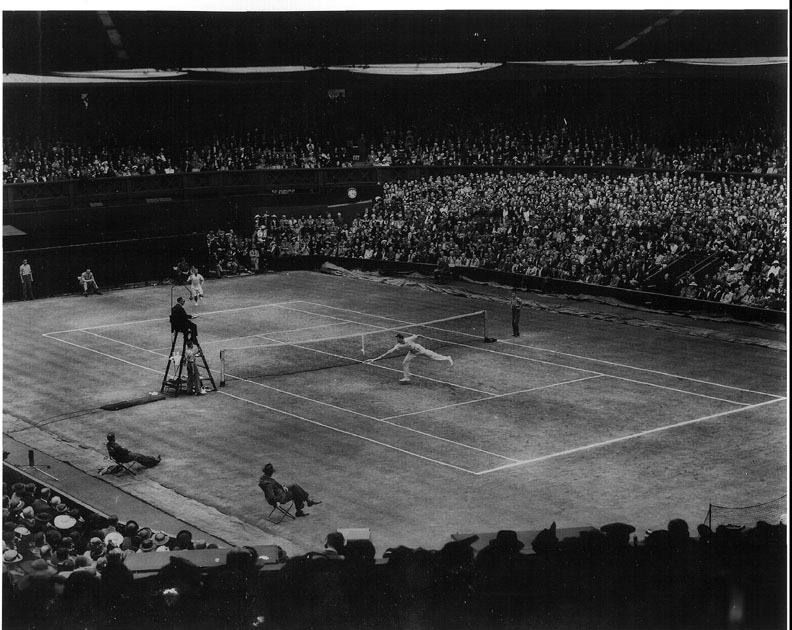 The Men’s Singles Championship was the only event held before the women’s was introduced in 1884 and the event has continued to grow in popularity to it’s present day status as the most coveted tournament out of the four major Grand Slams to win. 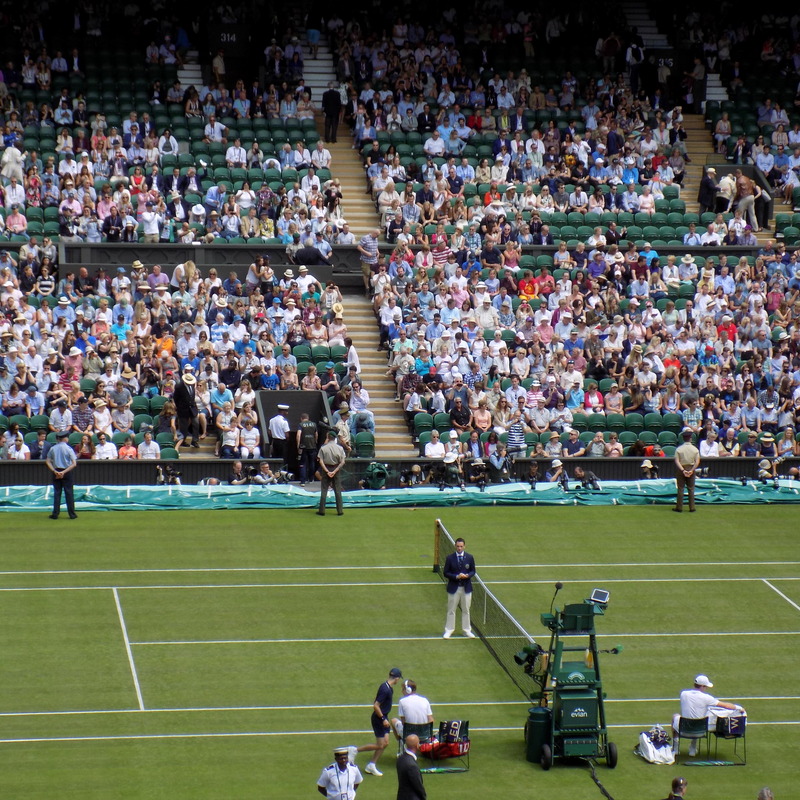 My first Wimbledon visit came in 2005 and my immediate thoughts were how different it all looks in reality. The sheer size and magnificence of the place, I was in absolute awe and completely dumbfounded, was I? could I? actually be here? 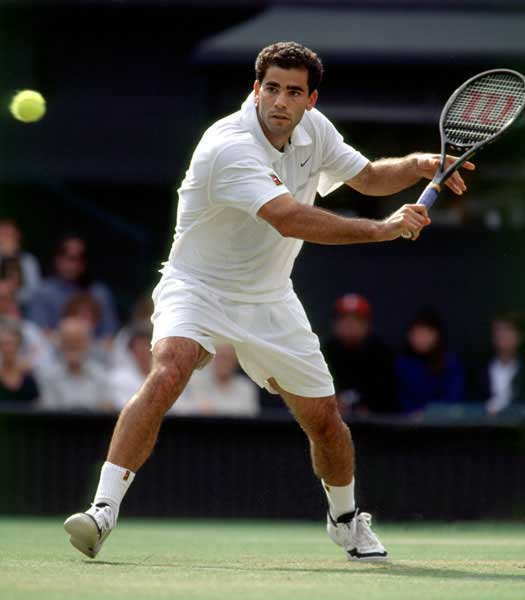 I was almost tearful, such was the emotion I felt as I reminisced the many years I was glued to the telly watching my idols Borg, McEnroe, Lendl and Sampras play fantastic tennis entertaining me with their sporting prowess, making me sob inconsolably if they had lost, I was utterly engrossed for two weeks, this is what Wimbledon meant to me growing up and to be here was a dream come true. 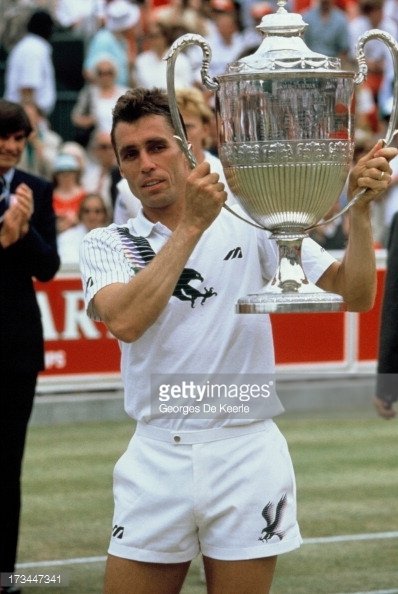 The Tennis greats and my Tennis Idols, top left, Ivan Lendl, my all time favourite Bjorn Borg, John McEnroe and arguably one of the all time Tennis greats, 7 time Wimbledon Champion Pete Sampras. 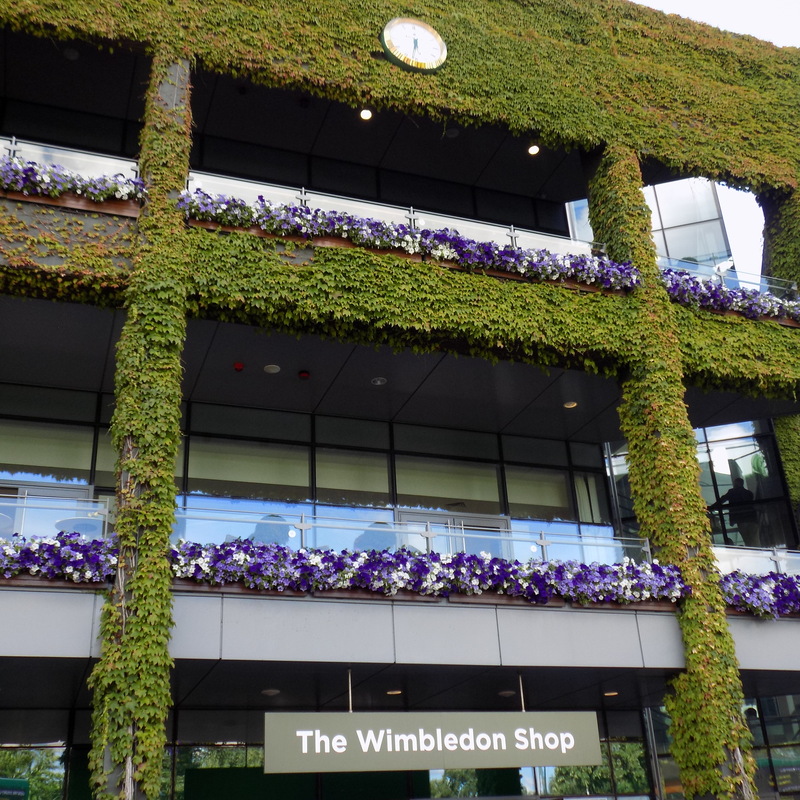 After the excitement and nerves settle and you take a moment to soak in the atmosphere and surroundings, the first thing that confronts you is the very “greenness” of Wimbledon. 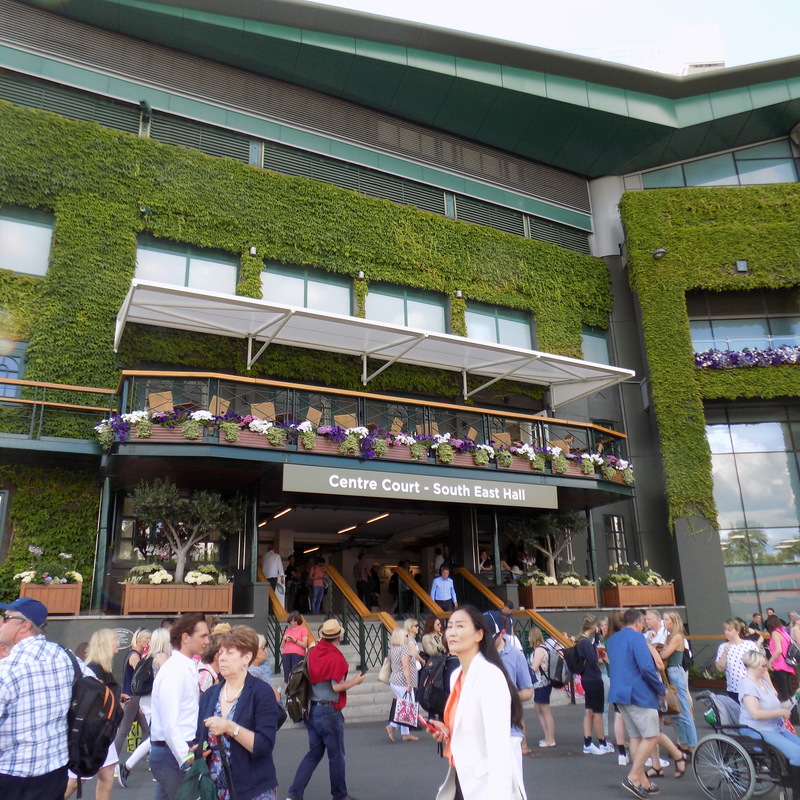 The outside courts litter the perimeter and there standing majestically in the middle is the breathtaking sight of Centre Court and alongside it, Number One Court. 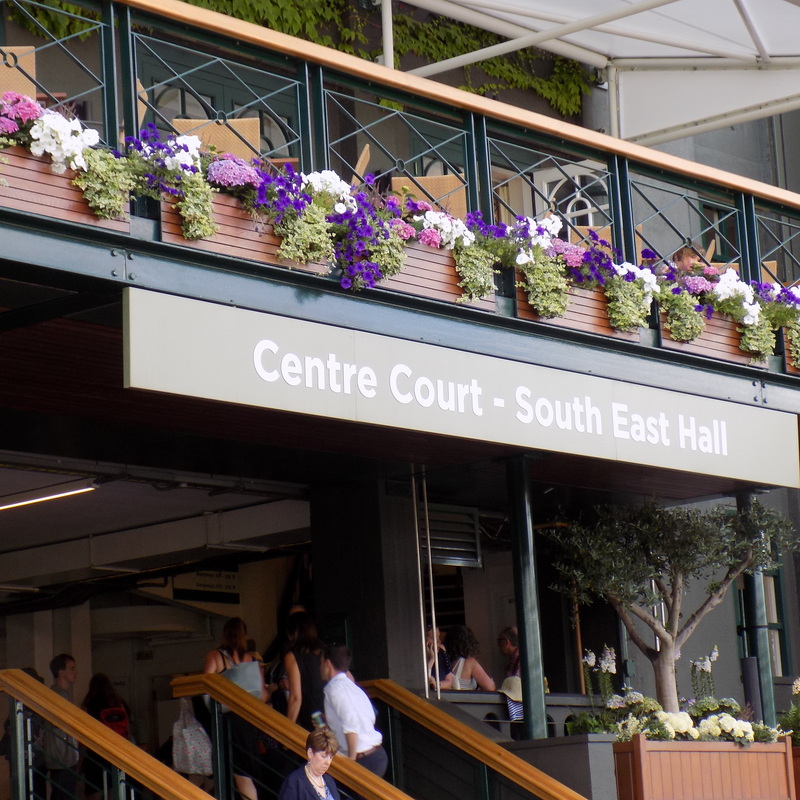 An array of restaurants, members only suites and stands provide all manner of culinary nourishment and it wouldn’t be Wimbledon without the customary strawberries and cream! 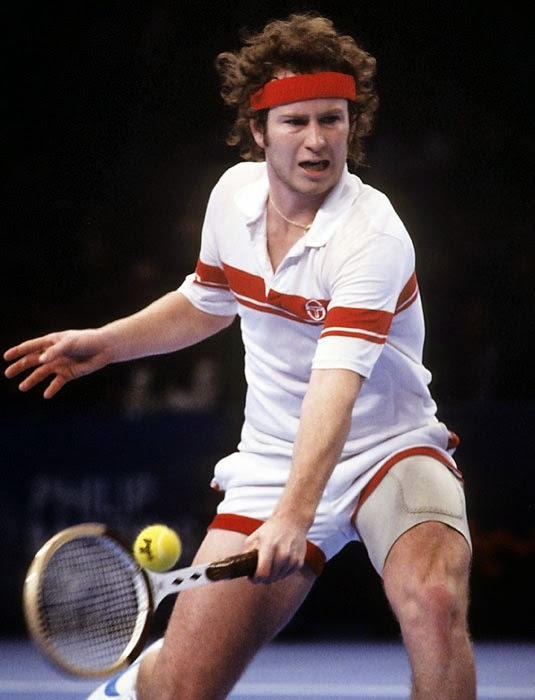 There is Pimms on tap as well as champagne and I don’t mind if I do indulge in a glass or three while I am here, only trouble is staying awake as the hypnotic effect of the tennis rally’s can really lull you to sleep! 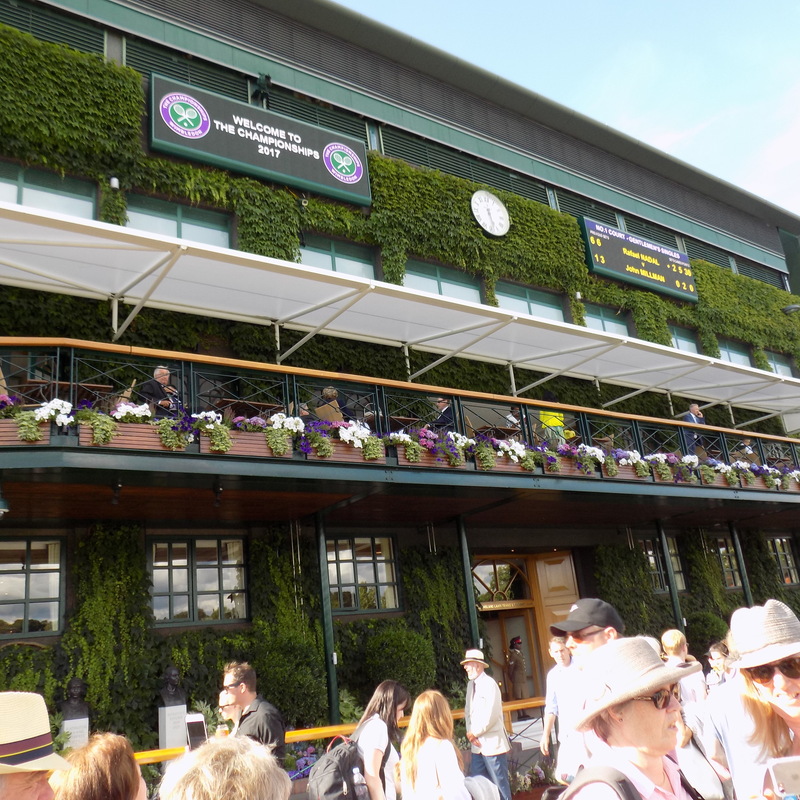 Since that very special first visit, I have been very lucky to win tickets on several occasions via either the Wimbledon or LTA Ballots. 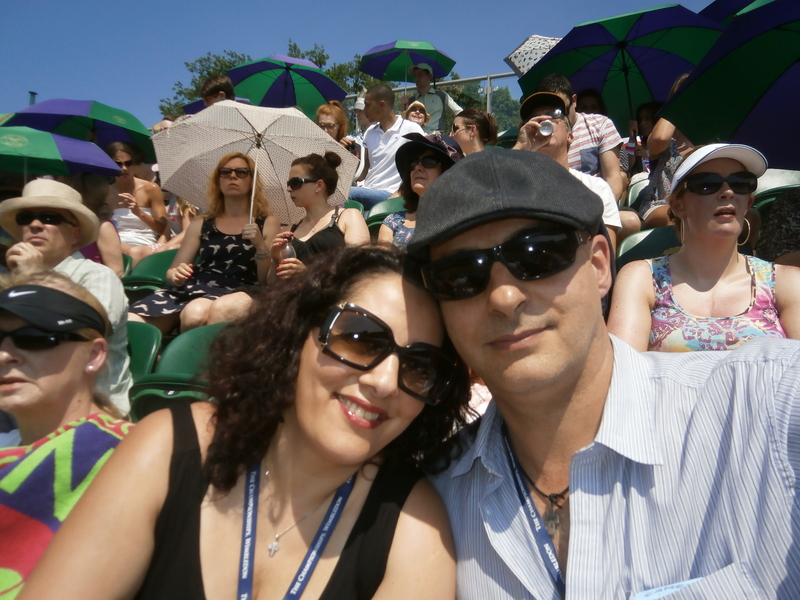 How lucky did I feel when I discovered that I had won tickets in 2013, the year that Andy Murray won, alas, we were not on Centre Court but Wimbledon is an experience in itself whichever court you watch tennis from. Another benefit of being a Lawn Tennis Association member means the choice of eating at their exquisite restaurant where a three course luncheon awaits and copious glasses of Pimms, champagne or wine or whatever takes your fancy. The table is yours to return to throughout the day and of course we do as there is Afternoon Tea on offer and lots of strawberries and cream. 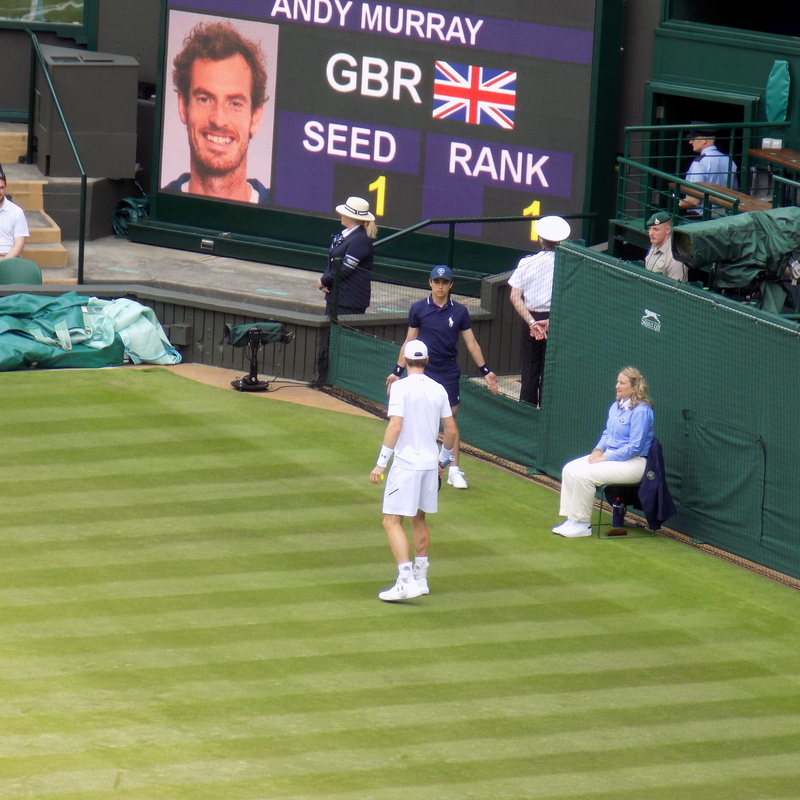 It is here at the LTA members lounge that we saw Andy Murray win in 2013 in a thrilling match against World Number One, Novak Djokovic. 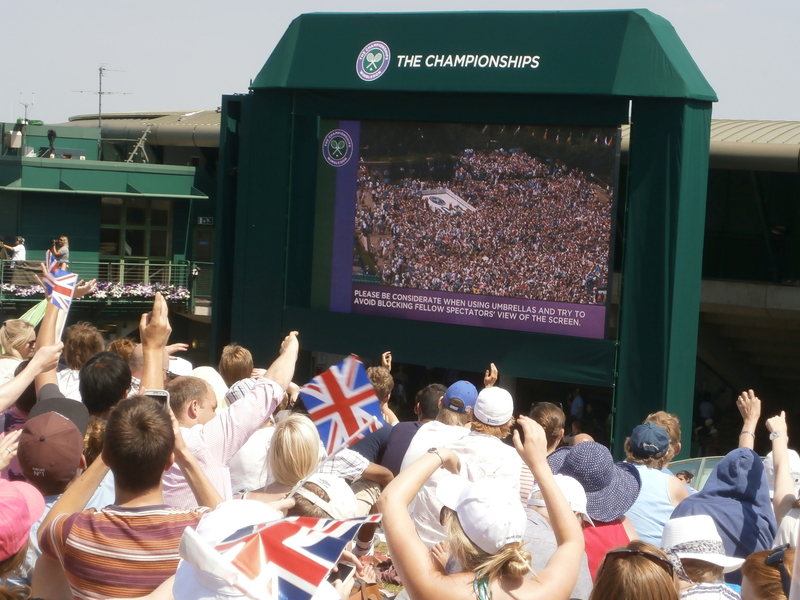 Murray Mound – the big screen where everyone witnessed the first British man to win Wimbledon since Fred Perry 77 years before. 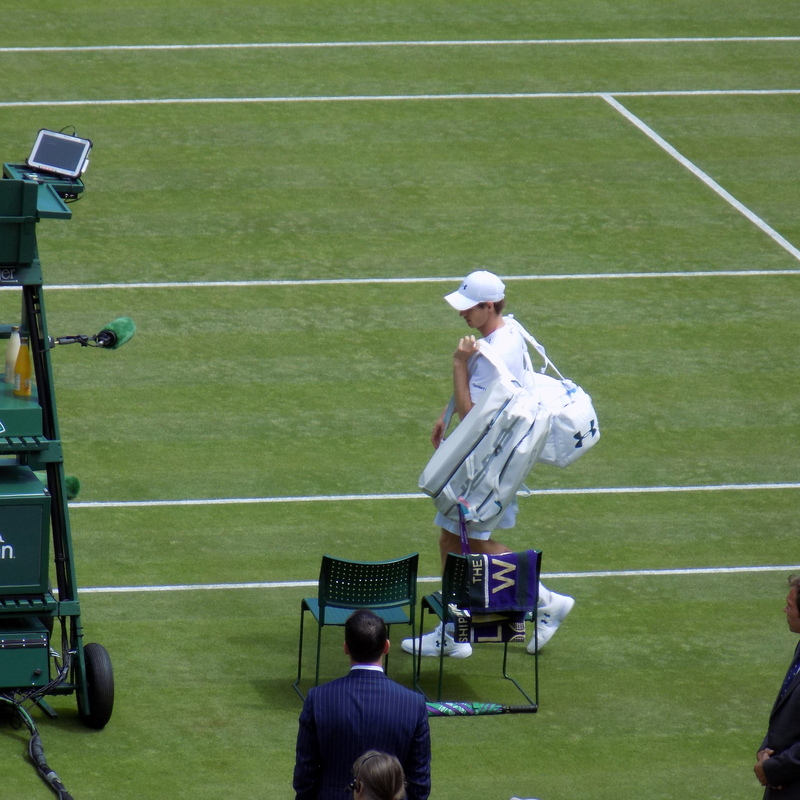 On a blisteringly hot day on Court Number two watching Andy Murray on his way to winning his first Wimbledon title. 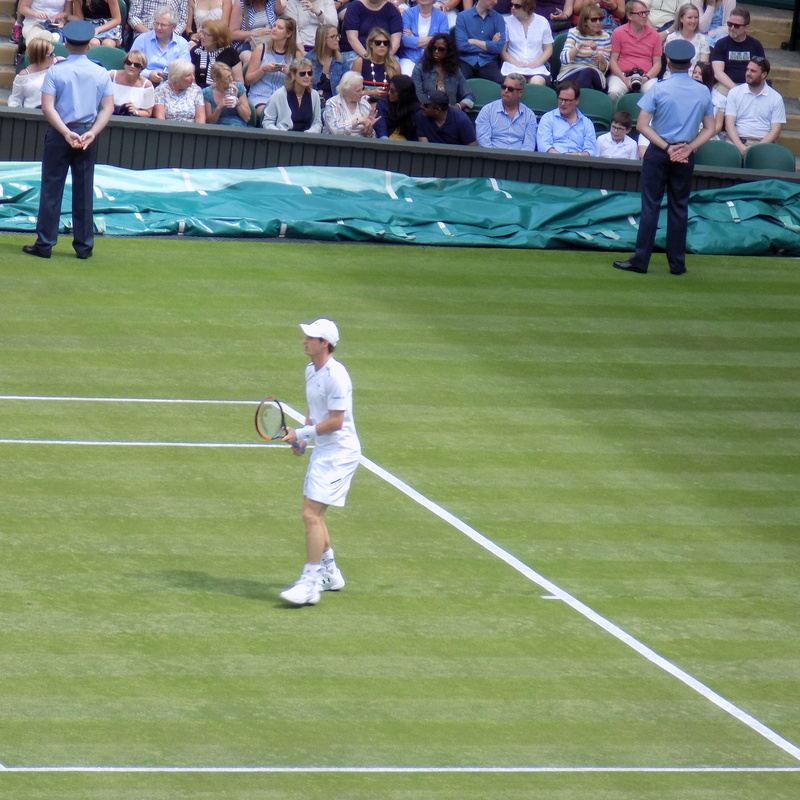 A little bit hazy because this photo was taken from the big screen on Murray Mound (formerly Henman Hill) Andy Murray keeping a tight hold on the Wimbledon trophy in 2013. If I am not lucky in the annual ballot, I am still glued to the telly however on Monday I was there once again on the first day of the competition. This time I took my son as my daughter had already been in 2011 and my husband twice before. 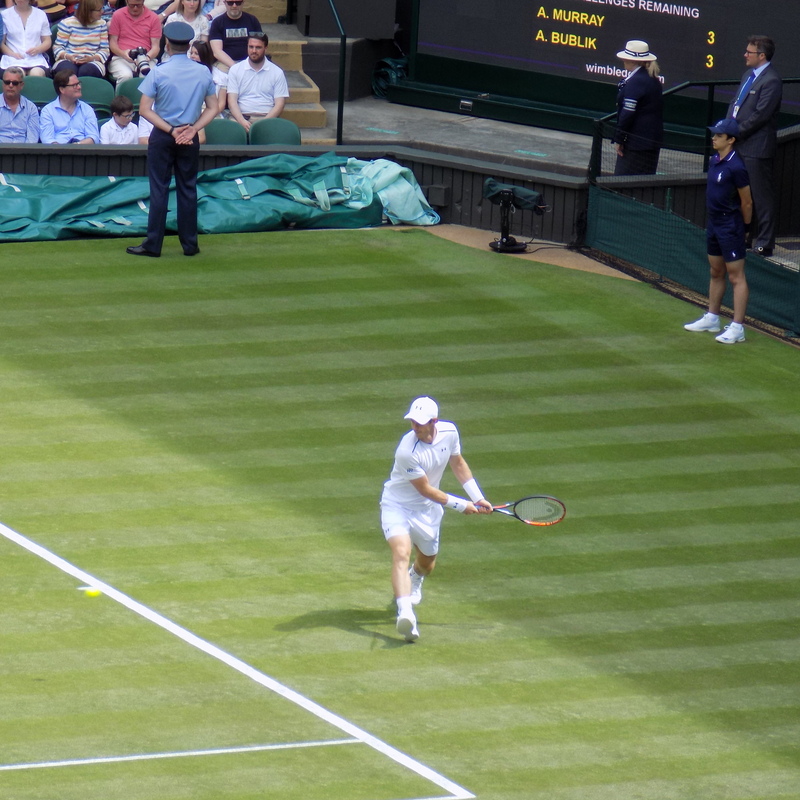 My son was just as excited as I had been 12 years earlier, his first words were “wow, it’s huge” We had tickets for Centre Court to watch Andy Murray open the tournament, we were amazingly lucky this year. 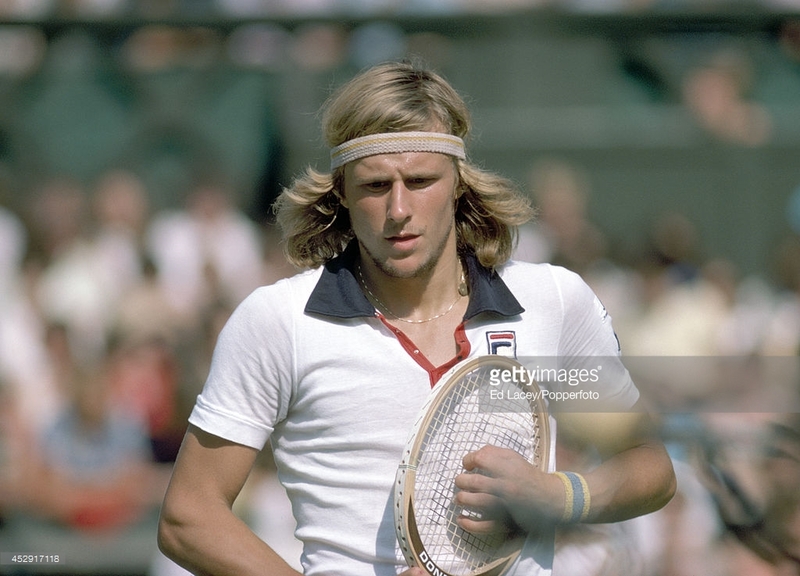 My son clapped and cheered at each point, was thrilled and entertained by each volley, backhand/forehand, drop shot and lob and joined in at the customary clapping which increases in speed as Hawk-Eye does it’s job in providing evidence if the ball is in or out. 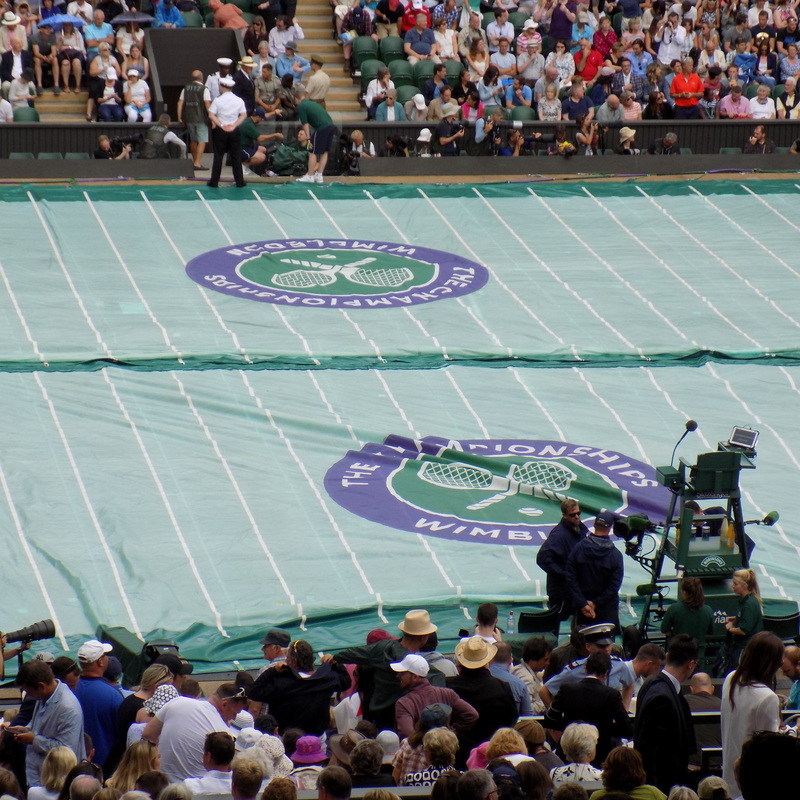 It wouldn’t be Wimbledon without rain but we didn’t mind at all as my son was intrigued at how the ball boys’ and girls skilfully drag the covers over the court with such ease, he was looking forward to the roof being put to work protecting the players and court however I am told that this only happens when there is persistent rain. 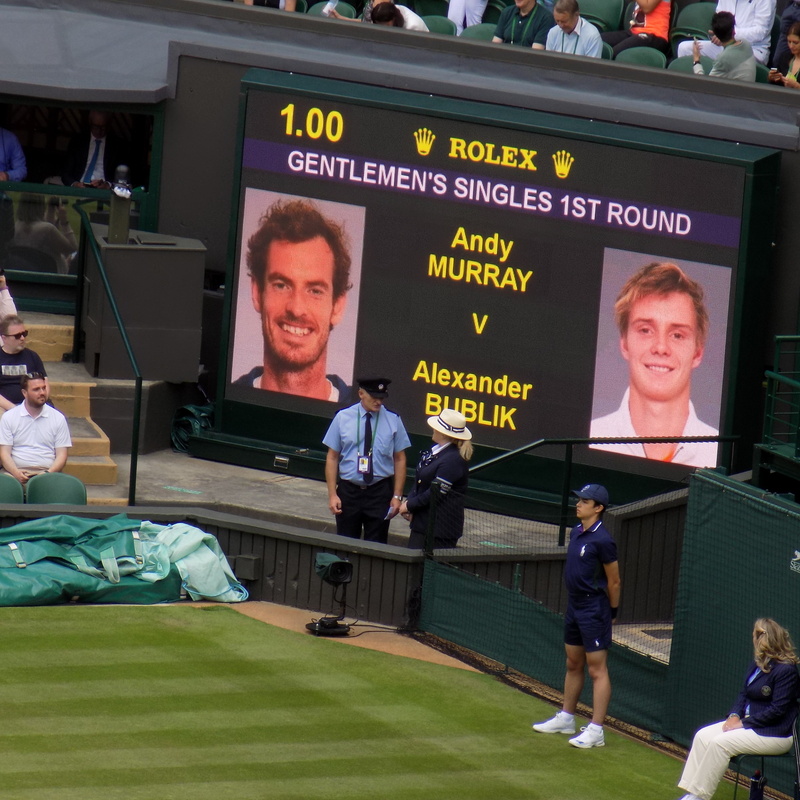 Andy Murray V Alexander Bublik first round, rain stops play – typical! 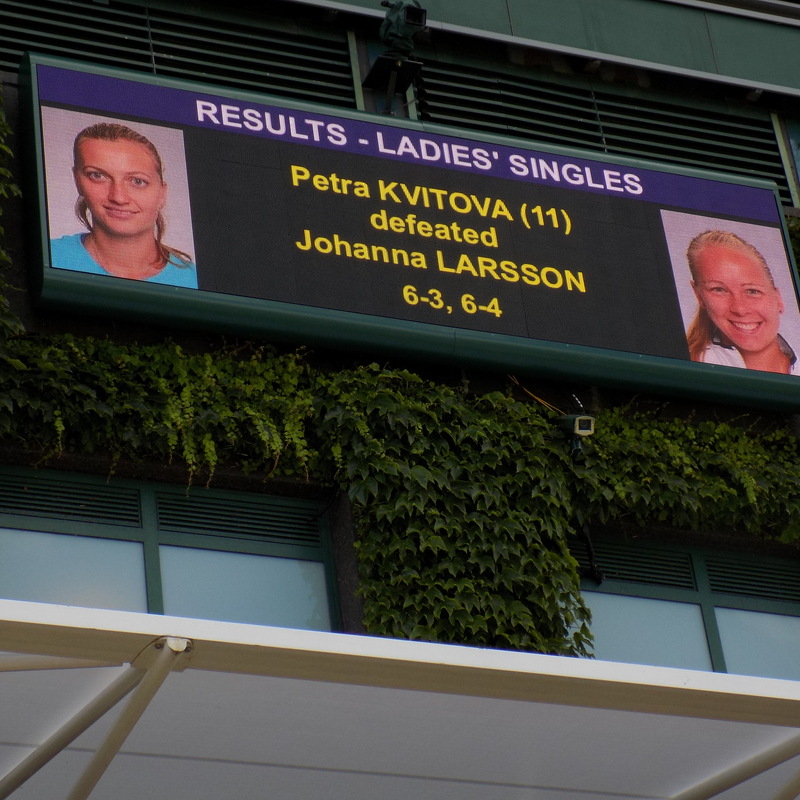 second on Centre Court the former champion Petra Kvitova V Johanna Larsson. In the spotted dress, HRH The Duchess of Cambridge (Kate Middleton). 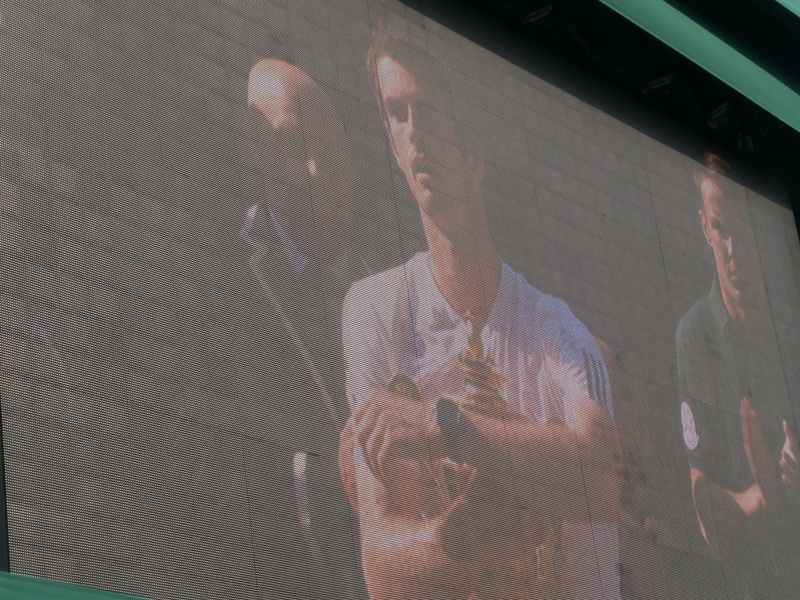 AndyMurray doing what he does best! 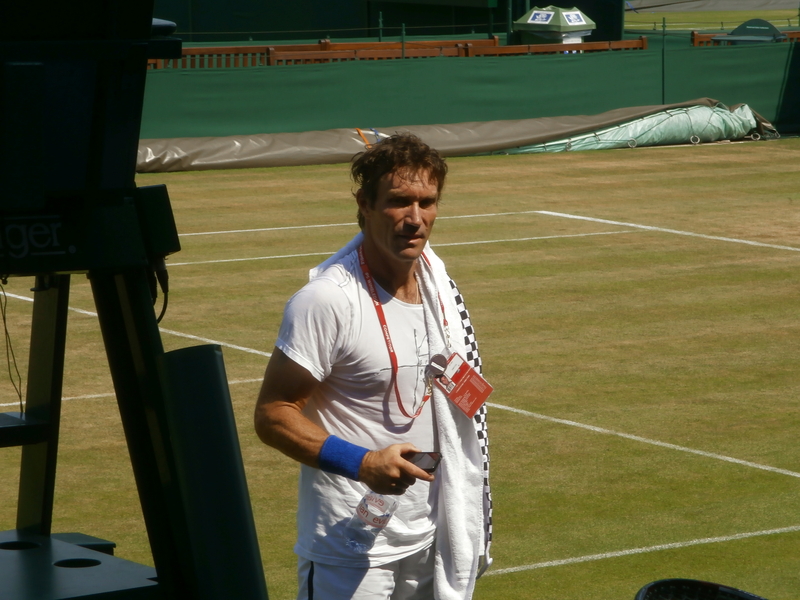 Former Champion Pat Cash, he won Wimbledon thirty years ago in 1987. As the game ended and we watched Petra Kvitova win her match and Stan Wawrinka sadly lose, it was time to say goodbye to the only place that is known by it’s postcode alone, SW19. As we made our way home completely exhausted but having thoroughly enjoyed our day. 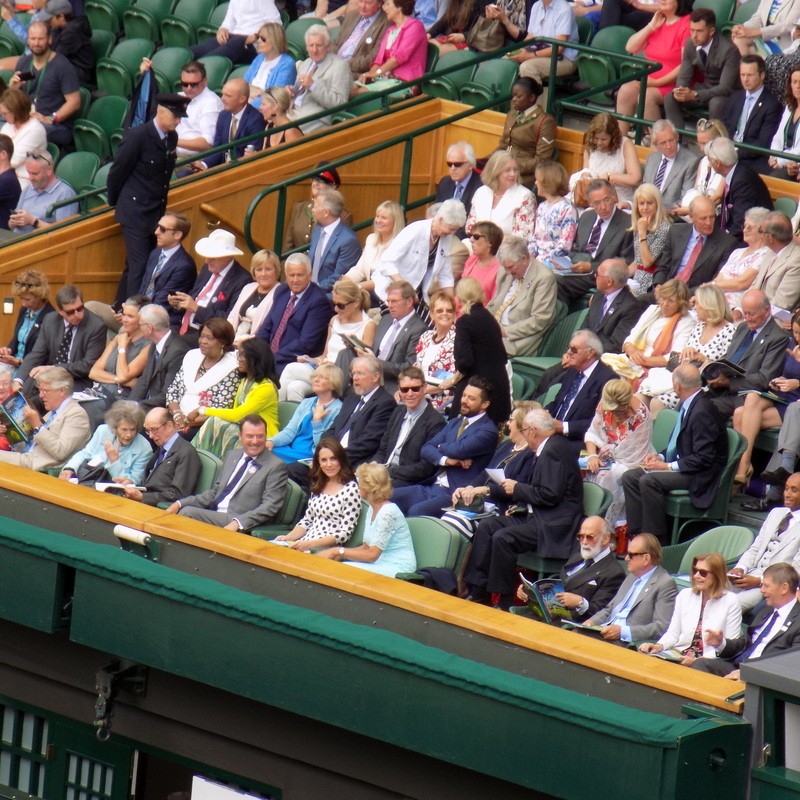 This is Wimbledon, an arena where dreams are made and shattered, where crowds go wild as they are awarded with spellbinding awesome tennis and the air is heavy with tension and excitement. It doesn’t matter how many times I set foot inside these magnificent grounds, I feel like that excited kid all over again completely mesmerised. The magic of Wimbledon will stay with my son for a long time and as for me, it’s magic whenever I watch the tennis especially if it’s the magnificent Championships at Wimbledon. 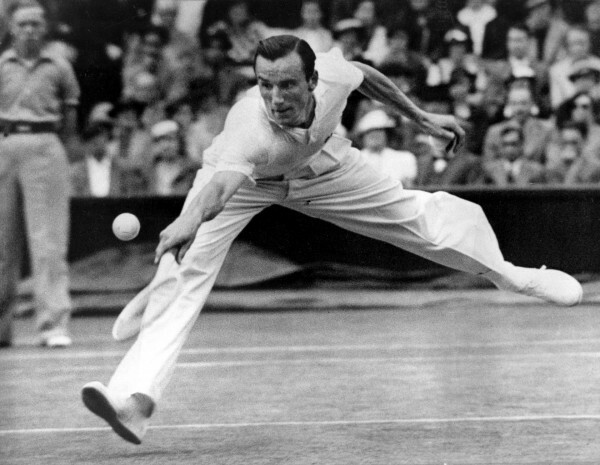 The great Fred Perry, he was the last British man to win Wimbledon for 77 years until Andy Murray won against Novak Djokovic in 2013.